﻿ Saigon Dalat Hotel (Vietnam) | FROM $38 - SAVE ON AGODA! 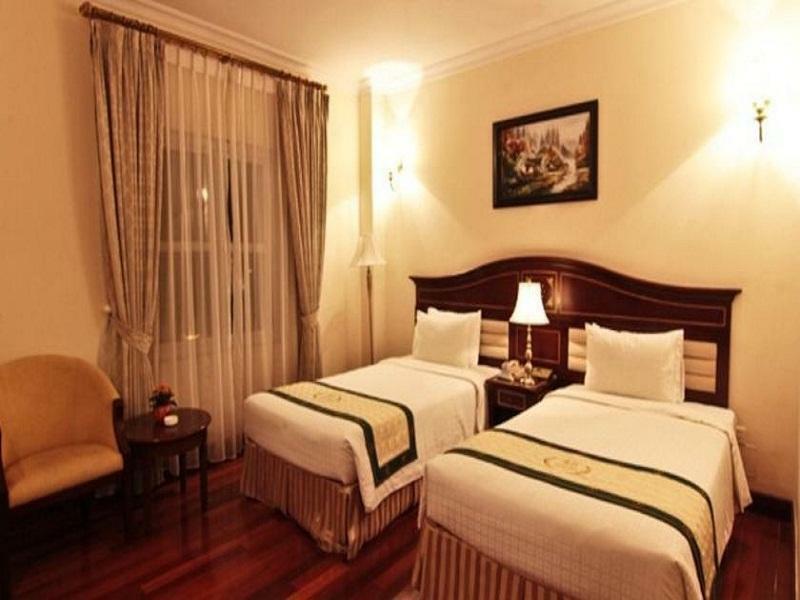 "Central located hotel but very peaceful, cleanliness, great..."
Have a question for Saigon Dalat Hotel? "The room is so spacious with 2 big twin beds." 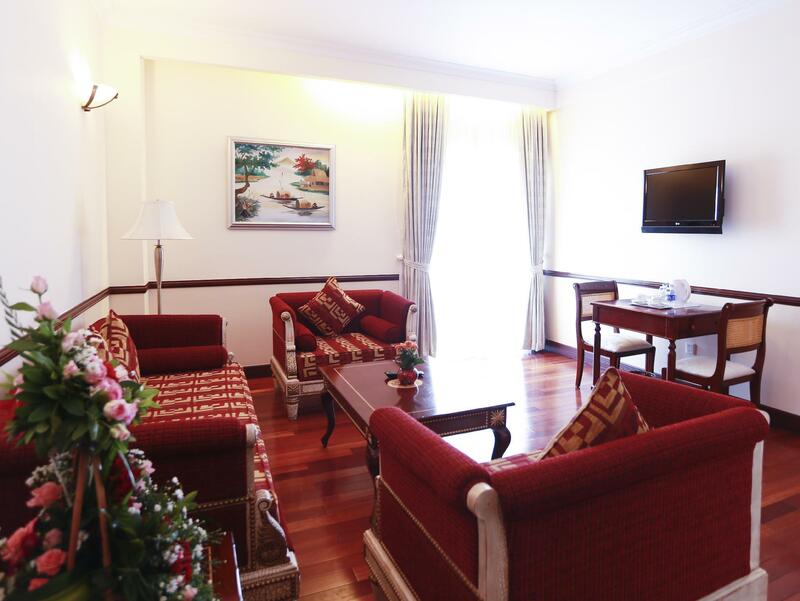 Well-placed in the romance, sightseeing, family fun area of Dalat city, Saigon Dalat Hotel provides a most conducive spot for you to take a break from your busy days. With its location just 0,8 km from the city center and 30 km from the airport, this 4-star hotel attracts numerous travelers each year. With the city's main attractions such as Vietnam Easy Riders, Trung Tam Bao Ve Suc Khoa Sinh San, Lam Ty Ni Pagoda within close reach, visitors to the hotel will just love its location. 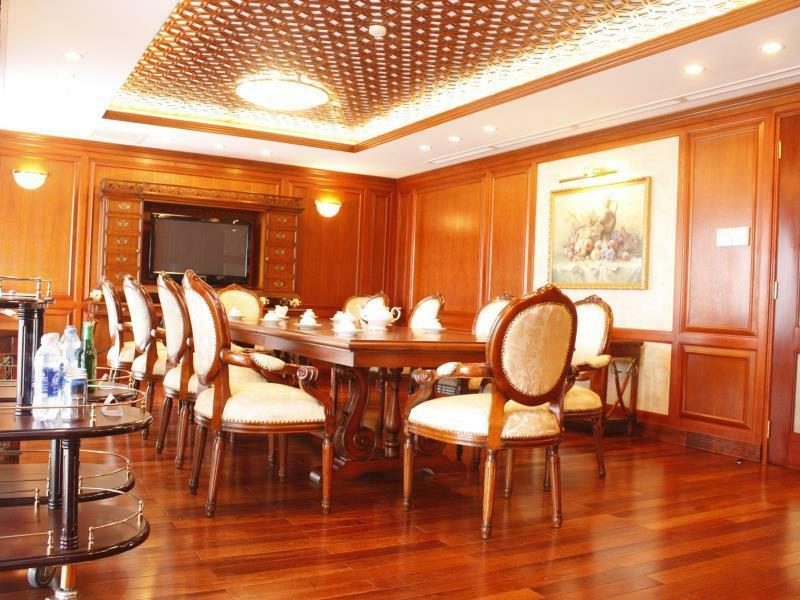 Take advantage of a wealth of unrivaled services and amenities at this Dalat hotel. For the comfort and convenience of guests, the hotel offers 24-hour room service, free Wi-Fi in all rooms, 24-hour front desk, facilities for disabled guests, luggage storage. Step into one of 160 inviting rooms and escape the stresses of the day with a wide range of amenities such as television LCD/plasma screen, internet access – wireless, internet access – wireless (complimentary), whirlpool bathtub, non smoking rooms which can be found in some rooms. 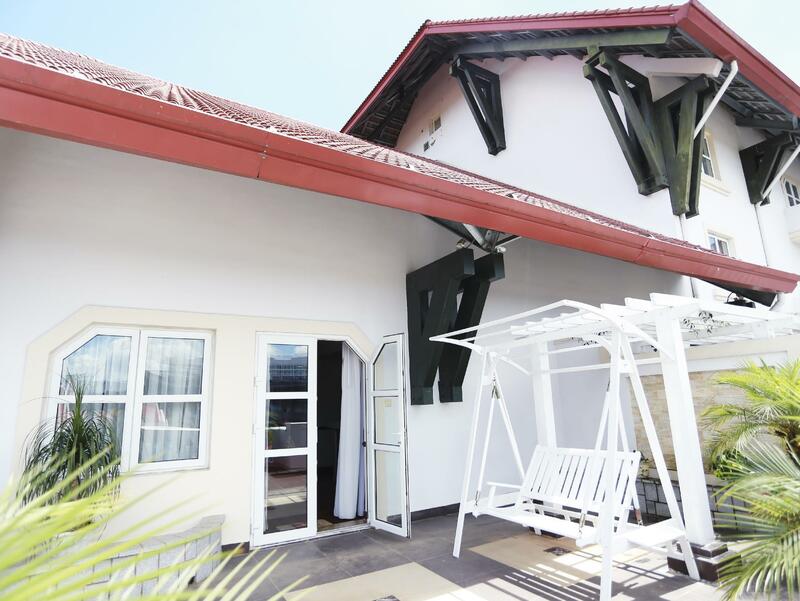 The hotel offers an excellent variety of recreational facilities, including hot tub, fitness center, golf course (within 3 km), indoor pool, pool (kids). 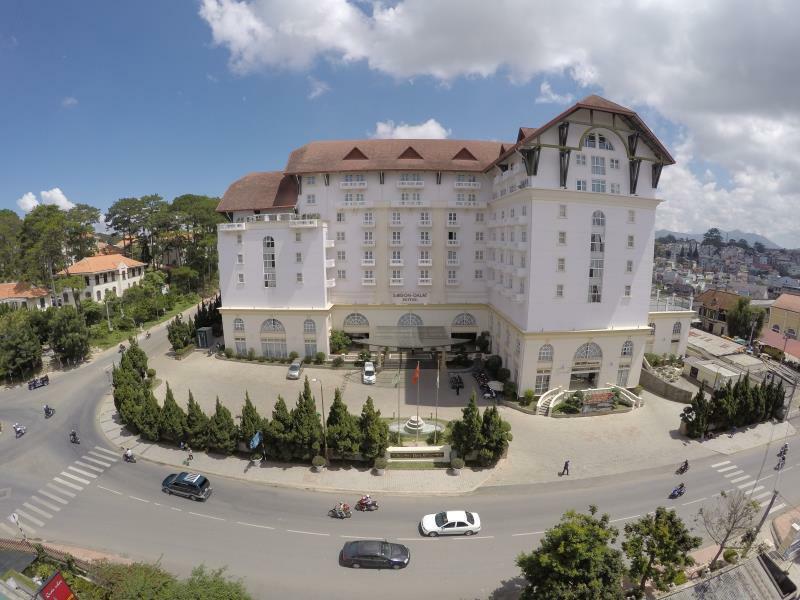 Superb facilities and an excellent location make the Saigon Dalat Hotel the perfect base from which to enjoy your stay in Dalat. One child under 4 years old stays for free if using existing bedding. However, the second child will be charged VND 70,000 per night if using existing bedding. One child between 4-11 years old stays for free if using existing bedding. 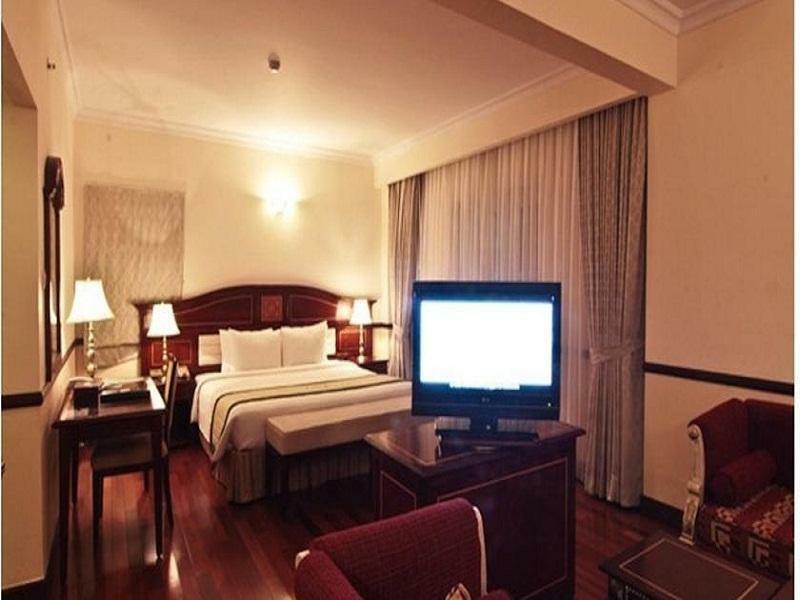 However, the second child will be charged VND 250,000 per night if using existing bedding. Children over 11 years old are considered adults. A nice 4star hotel a little out of the market area but only a short taxi ride away. Large rooms, good facilities and very helpful friendly staff. This was a very comfortable hotel by international standards, well maintained with high standards. The only thing the 6th floor lounge lacks is promotion. The Moonlight Bar is a beautiful room. The warm water pool on the main floor is a treat. (Just shower and change in your room, use the provided robes, and access the pool right off the elevator.) I do not understand why a hotel of this size does not have a small gift/essentials shop. Unfortunately, when I used the pool, there was no attendant; the nice dry saunas off the change rooms were not functioning. The hotel is located at the end of the busiest part of Dalat's central street (with narrow sidewalks) - Ba Thang Hai. But the area just beyond the hotel on Tran Le and Hoang Van Thu streets has a variety of pleasant shops & coffee places. I particularly liked the ambience & cakes of Full House Coffee at 850 Hoang Van Thu. Just down Tran Phu street is the Cafe Thién Thanh - a large, excellent indoor/outdoor lounge & restaurant. Thank for staying with us. We work hard to make our guest happy and respond your feedback. They serve varieties of breakfast and local breakfast as well. The hotel room is spacious and the restaurant for breakfast is spacious too. Staff is helpful and refill the food once it is almoSt empty. Room clean , staffs friendly. Great view from our 5th floor room. The only thing that disturb me is that guests are allowed to smoke next to elevators, it stinks the hallway of every floor. However, the a/c doesn't have that smell. The room and double bed was enormous! Hotel breakfast had good variety and it’s advisable for non-Vietnamese speaking tourists to pay for the hotel breakfast. Hotel’s room service staff let us borrow 2 pairs of chopsticks for our supper even though we did not order room service. Excellent service from the bellboy (the one who wears glasses). He was ever-ready to help us grab taxis and helped us with our luggage! I just spent 2 nights at Saigon Dalat hotel. Frankly the room was very very clean, bedding was much comfortable, staff was helpful, and breakfast was great. Location was quite centralized, I took a taxi & paid only 10,000 VND to get to Dalat night market. Such a recommended place to stay. I would come back with my kids when they take summer holiday. 4 Stars Cleanliness - Clean Rooms / Toilets 4 Stars Staff - Fulfilled all requests I have input in Agoda during bookings. Not higher because we did not interact too much thereafter. 4 Stars Facilities - Nice clean pool though we did not use it. Didn't see a gym. 4 Stars Location - 15mins walk to Night market. Rather quiet location, good for peaceful nights rest. Value for money hotel. Don't expect too much for the breakfast. Mostly same thing everyday, Fried Rice, Congee, Bacon, Vegetables, Spaghetti, Fruits. location, room condition, value for money. The rooms are big and clean. The location is far enough from excessive traffic noise but close enough to walk to the markets and other restaurants. Breakfast is decent. If I return to Dalat I would stay here again. I was impressed this hotel because of many reasons. 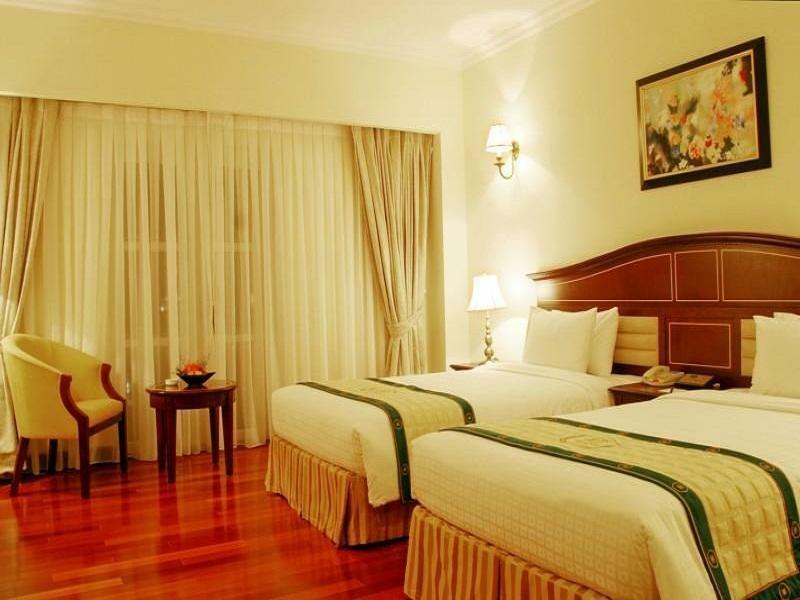 It is a very good hotel, the room is big and clean, and it is only hotel in Da Lat that having air-conditioner in rooms. I have only one problem when I stay here. The refrigirator in my room can not be functioned but Staff solves this problem by serving free ice all time I want. It's ok for me but it is better if the refrigirator can be functioned . nice place to stay. not very far from the center, you can walk to da lat market in less than 15min while enjoying the beautiful scene of the city. staff are very friendly and helpful, can give you some information about where to go? what is the good food here? it's pretty expensive comparing to other hotels but you definitely got what you paid for. i had a wonderful time staying in this hotel. the hotel room was spacious and elegantly decorated. the best part is their service. when i asked the cleaning lady for some toiletries, it literally took her about 2 minutes. also, i went to the swimming pool twice. every time i go there, it was empty, which was so nice. i felt like it was a private pool. however, there are some things that i didn't like as well. first of all, their breakfast was not so recommended. second, i heard some noise from the street at night. overall, it was a peaceful stay. This is clean and good service hotel which is suitable for family with kids. The spacious room make our family especially my kid very comfortable as he can run around freely. Just one thing I don't like is the location and the view. from the first night until the last night at the hotel make me have a wonderfully holiday,it my good and great memory that i even have,wi-fi is fast and room is clean,food are nice.it have a great big and wonderfully room.